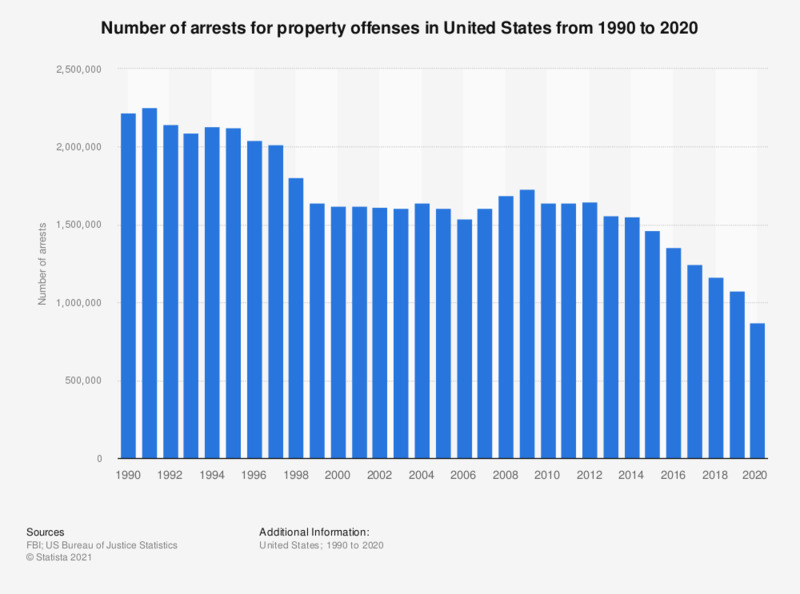 This graph shows the number of arrests for property offenses in the United States from 1990 to 2017. In 2017, 1,249,757 offenders in the United States were arrested for a property crime. Property offenses are defined in line the with the Property Index offenses of the FBI. Property crimes include burglary, motor vehicle theft, or theft. This category includes both attempted and completed crimes.